Balzer + Bray, 9780062398758, 32pp. 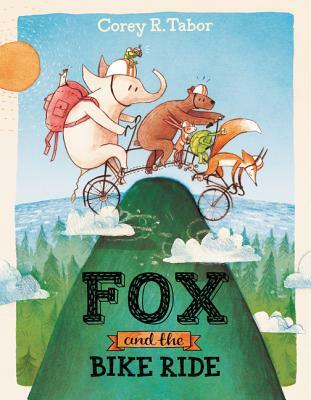 Fun-loving, mischievous Fox from Fox and the Jumping Contest is back in this charming and hilarious tale of friendship, adventure—and snacks. It’s the day of the animals’ annual bike ride, and Fox is not excited. Every year it’s the same old, same old. So he secretly schemes to make this the most unforgettable trip ever—and his friends are coming along, whether they want to or not!